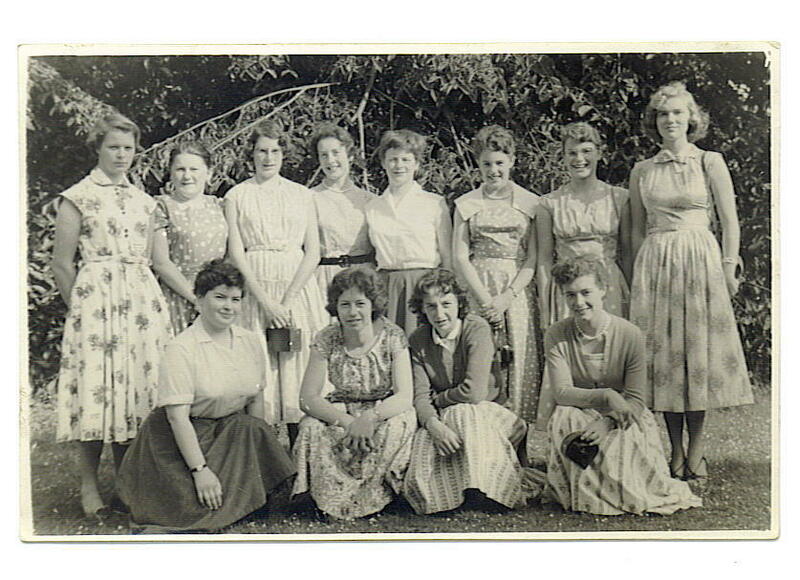 Collegiate School for Girls visit to Yorkshire in 1956. Joan Hands is on RHS of back row. We stayed in the Youth Hostel, where this photo was taken. We visited the City and Cathedral, and saw the 'Mystery and Miracle' plays on pageant wagons in the streets, as well as the spectacular open air play about the life of Christ. 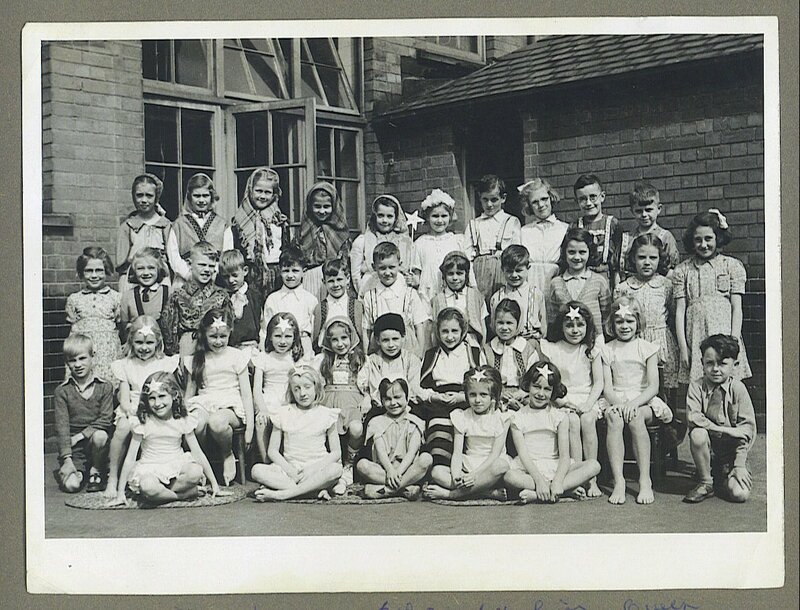 Derwent Street Gang c. 1946 with the leader, Pam, top left. Joan is on the RHS of the back row. 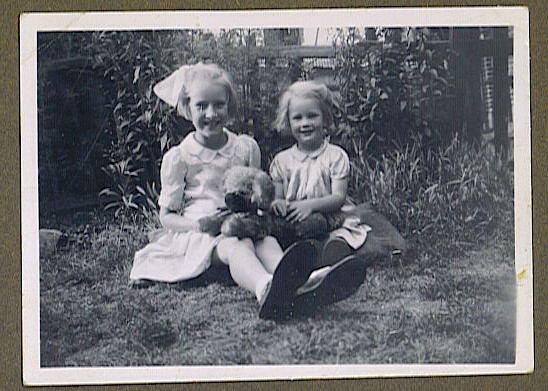 Edna and Joyce Currall, Joan's cousins from Tottenham. 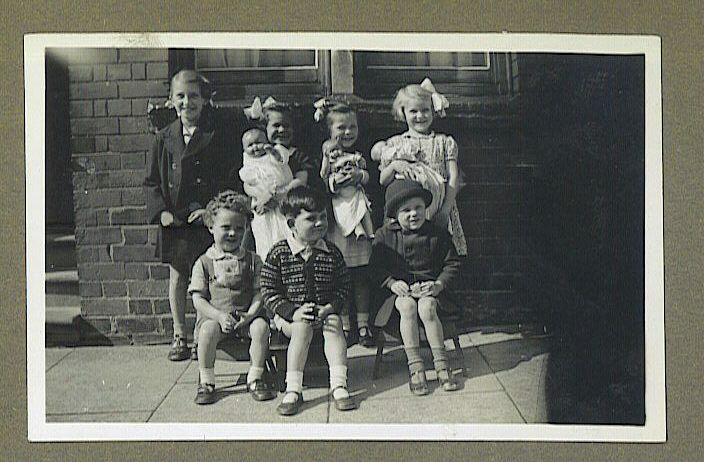 They stayed with us in Derwent Street for a time during and after the war. 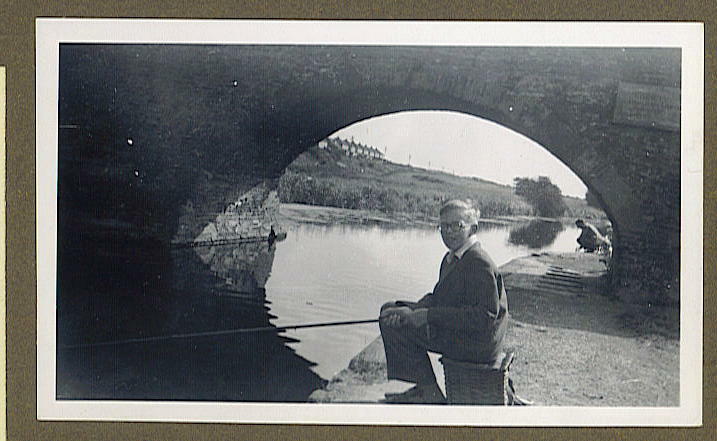 Eric Cook fishing near Aylestone Bridge. 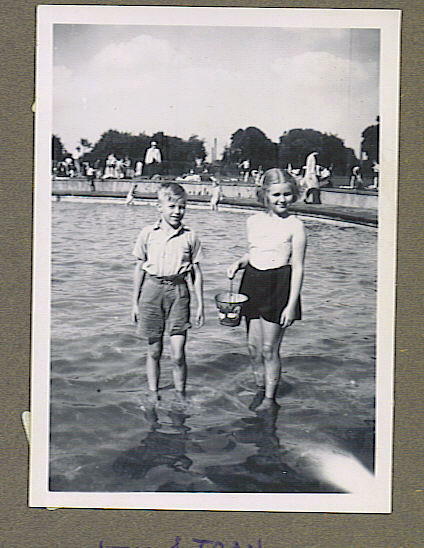 Eric and Joan in the paddling pool at Abbey Park c. 1949. 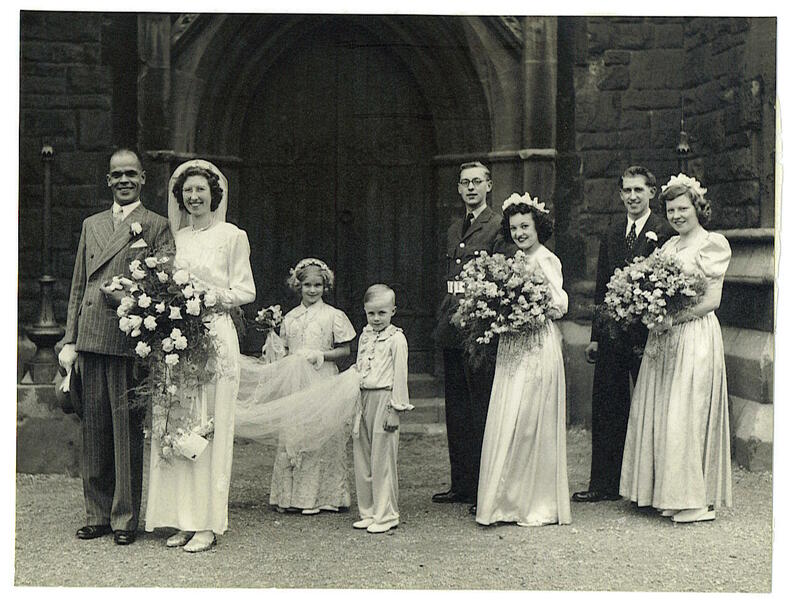 Irene Saunders and Harold Pearce's wedding at Saint Peter's, Highfields. Joan was a young bridesmaid and Eric a pageboy. 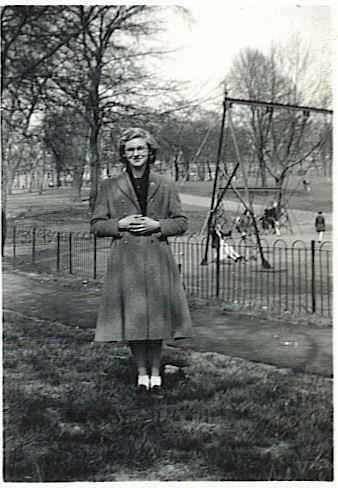 Joan Cook in Spinney Hill Park near the swings c. 1954. 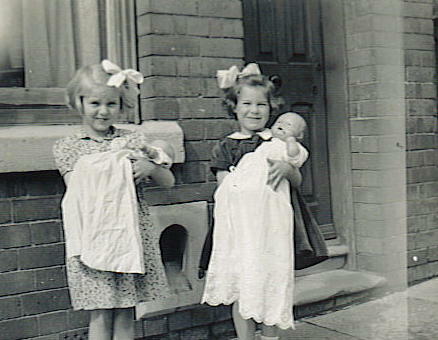 Joan and Shirley in Derwent Street c. 1946. 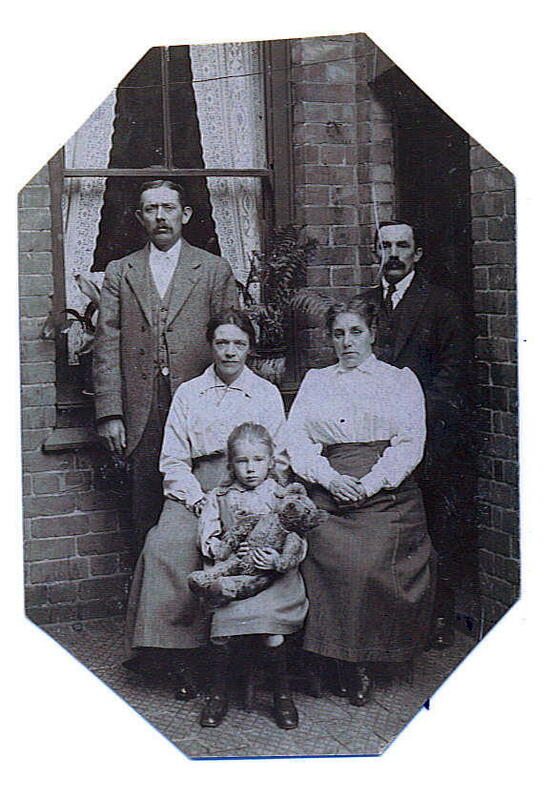 Mabel Currall with doll, her Mum and Dad, Uncle Will and Aunt Em. 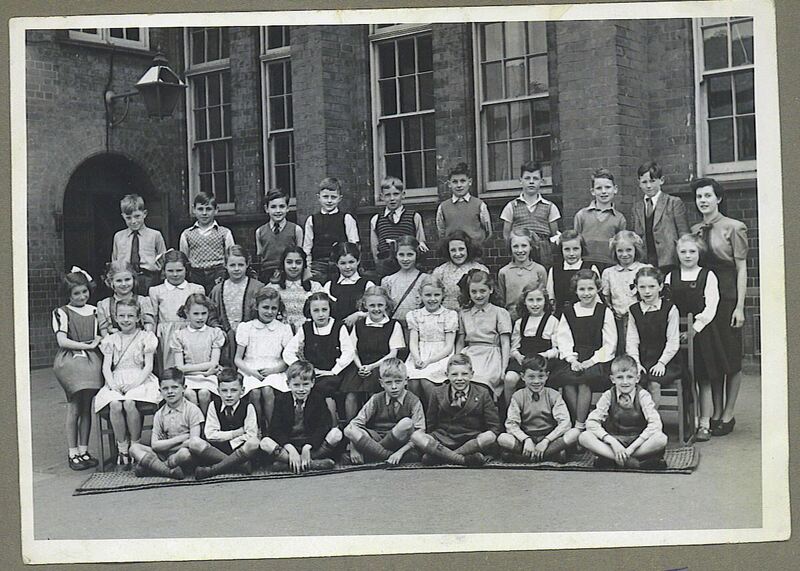 Medway Street Junior School c. 1948. 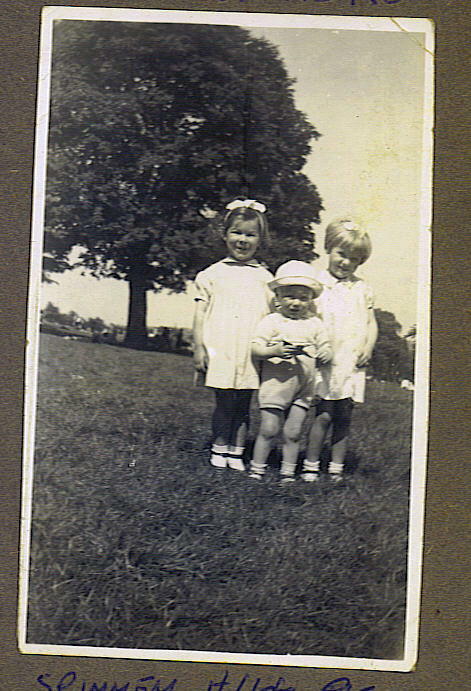 Shirley, Eric and Joan in Spinney Hill Park c. 1944.